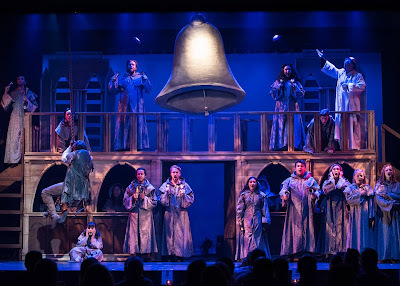 The bells toll....and they toll loudly....for the deformed outcast Quasimodo in Downtown Cabaret's thrilling, dazzling, buoyant telling of "The Hunchback of Notre Dame," brilliantly directed by Christy McIntosh-Newsom. 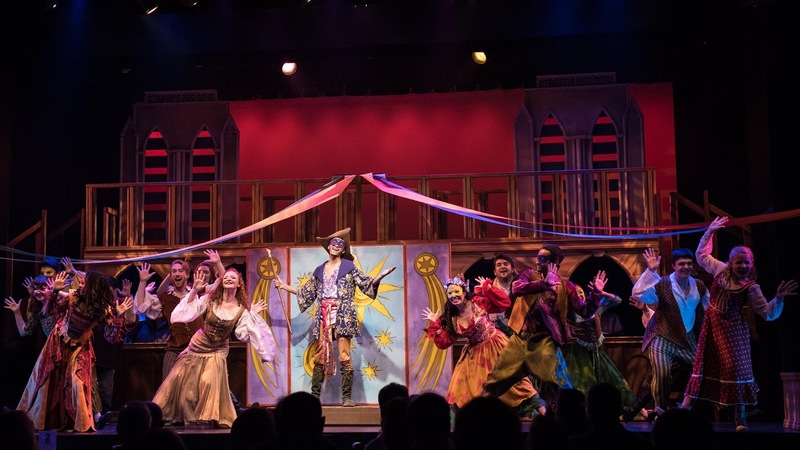 This production is so electrifying, it nearly blows the roof off this intimate Bridgeport theater space and ignites a fireworks display worthy of every color of the rainbow. It tugs at your heart stings. It's unlike anything you've ever seen before. 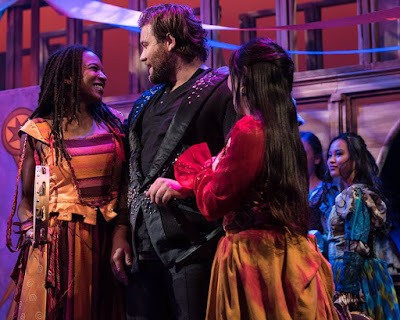 It is not only one of the best musical productions of 2017, an honor shared with the equally superior DC presentations of "Spring Awakening" and "In the Heights," but it comes perfectly gift-wrapped with stellar performances by its five principals (Ben McCormack, Alexis Willoughby, Perry Liu, Nicholas Kuell, Joe Cardozo), all of whom deserve their own personal standing ovation. There's a Broadway caliber chorus and choir whose sound rivals that of The Choir of King's College in Cambridge. Not to mention a costume, lighting, sound and set design that is truly in a class by itself. Clay Zambo's musical direction is superior. Christy McIntosh-Newsom's stirring emotional vision is nothing short of spectacular. 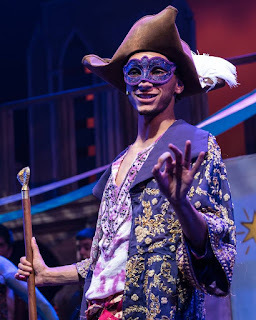 The two-act musical takes its cue from the 1996 Walt Disney musical and the Victor Hugo novel that was first published in 1831. Set in medieval Paris under the twin towers of its greatest structure and supreme religious symbol, the cathedral of Notre-Dame, the production offers haunting insight into the troubled lives of Quasimodo, the hunchback; Esmeralda, the seductive gypsy dancer; Claude Frollo, a priest tortured and haunted by the specter of his own damnation; and Phoebus, the dashing, egotistical Captain of the King's Archers. There's a lot of story to tell and Peter Parnell's lively book delves directly into "Hunchback's" many plot machinations (sorry folks, I'm not going to reveal any of them), using Hugo's profound sense of irony, his prejudicial undercurrents, his atmospheric sense of time and place, his historical imagination and his multi-layered characterizations. It all comes together nicely and is very easy to follow in its musicalized form of presentation. 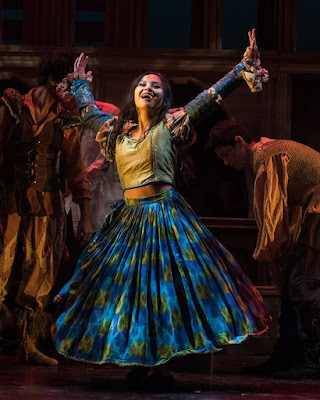 In the recent DC presentation of "In the Heights, "director Christy McIntosh-Newsom embraced the harsh realities of barrio life and the continued tug-of war between people fighting for survival or escape with confidence, imagination and brio. An intuitive, passionate director, Newsom, always knew what buttons to push, who to thrust into the spotlight, what plot twist to amplify or downgrade, how to get laughs or pump up the drama without the slightest form of calculation. She succeeded swimmingly. Bringing "The Hunchback of Notre Dame" to life, Newsom is pretty much in her element. 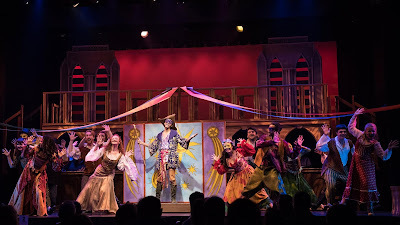 From the moment the production begins and builds to its justified conclusion, it's obvious that a lot of care, respect, understanding and stagecraft went into the mounting of her mammoth presentation. No stone has been left unturned. 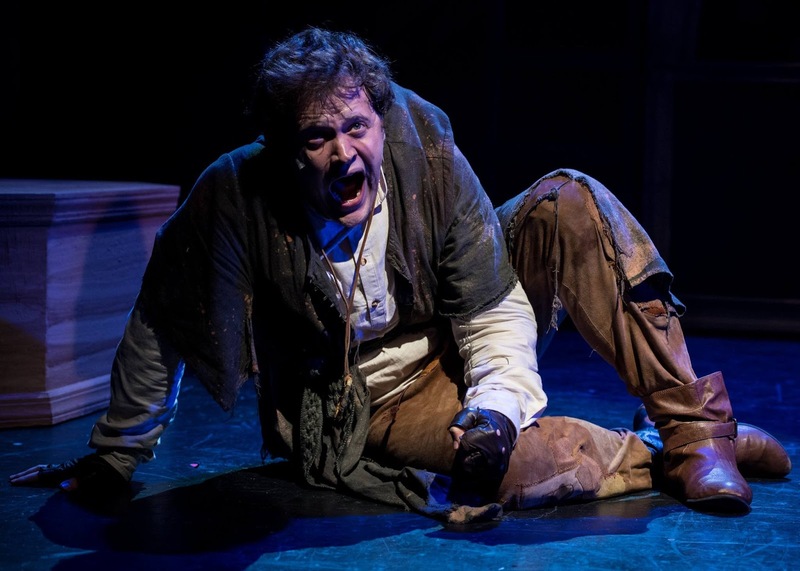 This "Hunchback" is rife with imagination, spirit, pathos, merriment and inspiration. It has its splashy, lovely Disney moments, but Newsom opts for a decidedly darker tone which amps up the material in carefully etched ways that superbly reflect the novel's flavorsome sexual undercurrents, its temptations, its guilty sins, pleasures and desires. Brilliant, just brilliant. Musically, Clay Zambo crafts an unforgettable on-stage experience that superbly emulates the imagination behind the Alan Menken (music) and Stephen Schwartz (lyrics) score and its traditional, complex and classically-influenced musical numbers which include "The Bells of Notre Dame," "Out There," "Esmeralda," "Topsy Turvey," "Rest and Recreation" and "Made of Stone." Each cast member is pitch perfect with an unbeatable Broadway sound. And finally, there's the vast congregation/choir that tackles "Hunchback's" complicated vocals, harmonies and chants so superbly, you hands actually hurt from applauding so hard. 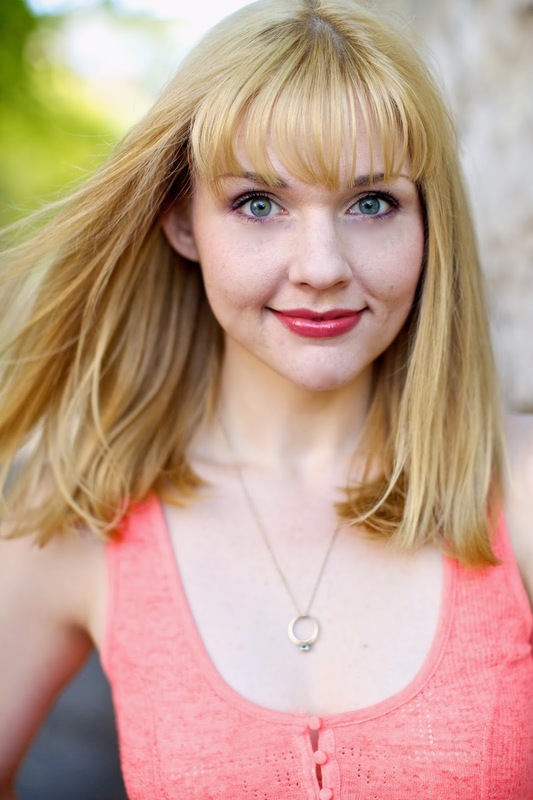 Choreographer Lindsay Johnson comes to "The Hunchback of Notre Dame" with a knowledge and professional mindset that is absolutely perfect for musical theater. But she, like Newsom, is not one to rest on her laurels. Here, each set of characters has their own particular style of dance, stance, mood and expression. It's a marvelous conceit that Johnson develops masterfully with proper emphasis placed on appearance, fluidity, illusion, reality, passion, magic, spectacle and razzle-dazzle. Just gorgeous. 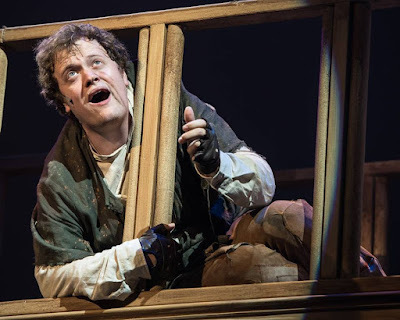 Ben McCormick gives one of the best musical performances of 2017 as Quasimodo, the Hunchback of Notre Dame. His movements, his expressions, his hops and leaps across the stage are so real and so raw, you cannot take your eyes off him for a moment, for fear you might miss something important. He superbly communicates his character's emotional anguish and pain, his physical deformities, his love for the beautiful Esmeralda and an unbridled heroism in typical, dark Disney fashion. His singing, in particular, "Out There" and "Heaven's Light" is rich and emotional. In the role of the villainous, twisted Frollo, Perry Liu's powerful baritone voice is absolutely sensational as is his intriguing, colorful portrait of an emotionally conflicted man tortured by dark secrets, lusts, passions and desires that he cannot and will not control. He amazes at every dark, twisty and revelatory turn. Joe Cardozo, as Clopin Trouillefou, the King of the Truands, cuts a colorful figure throughout "Hunchback." He is funny. He is witty. He is as charming as a snake. And he not only loves every minute of his character's tomfoolery, but never once misses a beat acting-wise or vocally. 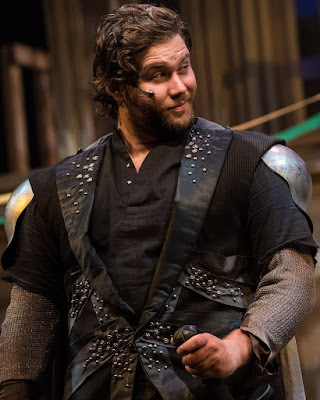 As Phoebus, a notorious womanizer Nicholas Kuell easily adapts to the vain, untrustworthy, egotistical and self-serving ways of his antagonistic character. But he does it with such slippery charm, dash and charisma, you can't help but like, admire and applaud his every move. Think "Beauty and the Beast's" Gaston (it's a role he has played before), but just a little darker and smarmier. Its a formula that Kuell has perfected and works ever so well. Vocally, he has charm, wit, dazzle and range. The beautiful Alexis Willoughby is ideally cast as the gypsy Esmeralda, a lusty young woman who attracts men, pleasures them and seduces them with one of her seductive dances. Her performance is rife with feeling, emotion, sexuality and passion, all of which Willoughby conveys effortlessly. 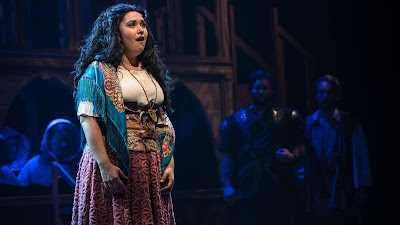 Here, as in the recent "In the Heights," she is a brilliant actress and performer with a powerhouse voice that is used most effectively throughout the two-act musical. 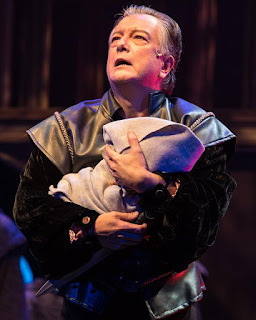 "The Hunchback of Notre Dame" is being staged at the Downtown Cabaret Theatre (263 Golden Hill St., Bridgeport, CT) , now through October 15.